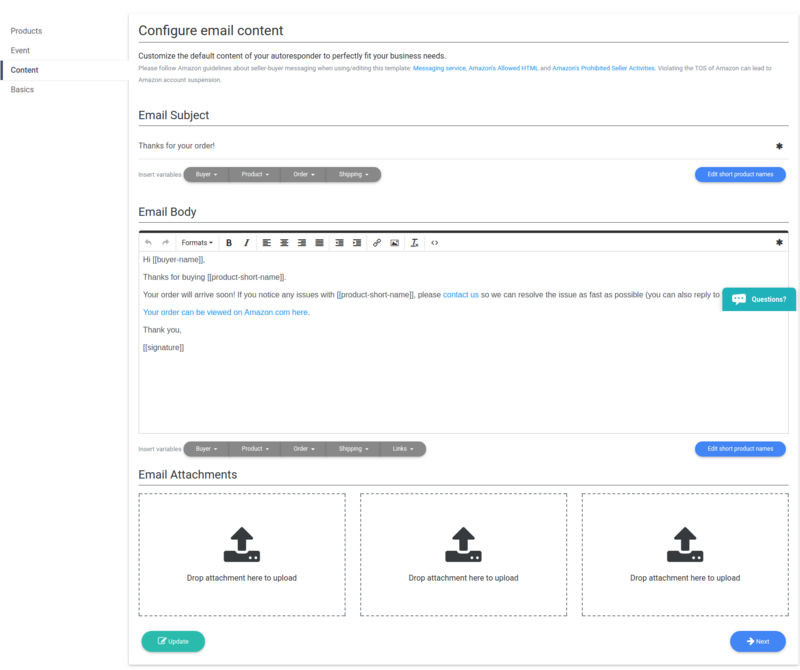 You can create a new email autoresponder by selecting “Email Autoresponder” from the menu on the left and then select “Create”. Next you will need to select a template that matches the kind of email you wish to send out. If nothing matches you can simply use the Blank Template. Once you have selected a template the creation wizard will start. First you will need to define for which products this autoresponder will trigger. By default it triggers on all of your products. However you can manually select the products here. Next you need to set when this auto-responder should trigger. Each option has a description next to it that explains how it works. Click on Next when you are done. 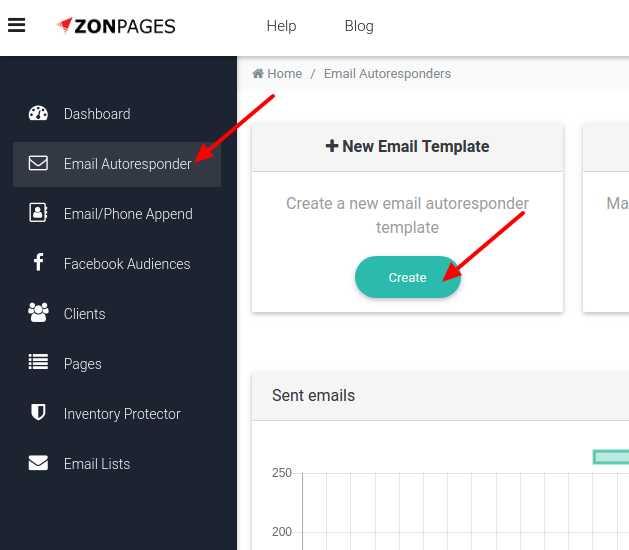 On the Content section you can write a template for the email that we will send out when your autoresponder triggers. Here you can write a Title, Body and add up to 3 attachments. For the title and body you can make use of variables, These variables can automatically insert certain data into your email. For example: Buyers email, product bought, estimated delivery date etc. Many Amazon Sellers use very long product names to make the most of their ranking possibilities. But it looks very bad in the emails. Therefor you can set a “Short name” for each product that will be used automatically. If a product does not have a short name and it is longer than 5 words we will automatically reduce it to 5 words. The email campaign you just created is now in TEST mode, It will not send out any emails yet. You can activate it by clicking on the pulsating “Activate” button. Once it is activated it will start looking for orders that match the event you have configured. Keep in mind that this new autoresponder will only work for orders that have been created since the moment you activate the autoresponder. So it might take 1-2 days before your first emails go out.